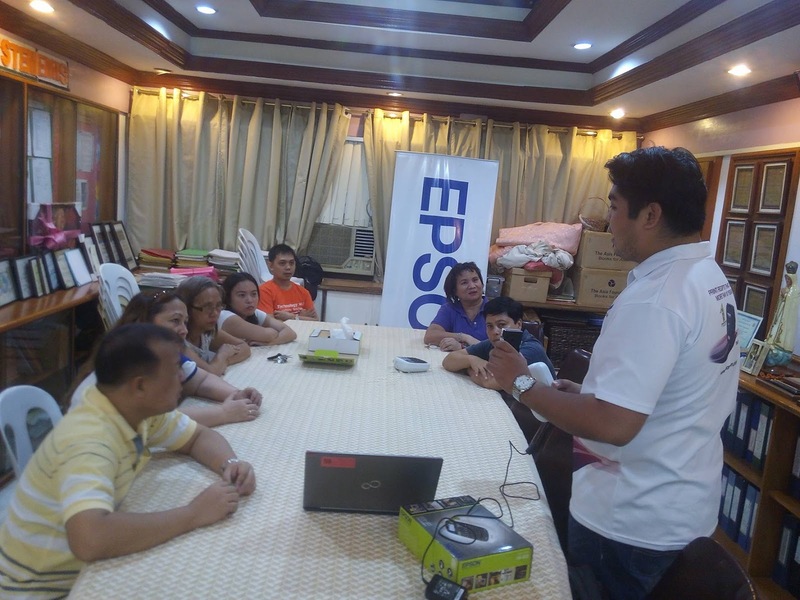 Epson’s Jeremy Patlingrao (standing) leads the technical training and product orientation to Cebu City National Science High School faculty members to help them be equipped in using the Epson Technology package donated under the Gift of Brightness program. Epson Philippines imparted important technical know-how in operating the Epson products donated to Calumboyan National High School and Cebu City National Science High School. The donations made through the Epson Gift of Brightness (GOB) program, in partnership with the Department of Education (DepEd). Product orientation and technical trainings were put into place to enable the school faculty and students maximize the use of the Technology Package and help enrich the learning process for Filipino students. The schools had earlier received an Epson Technology package that includes the L220 Multifunction Color Printers and L Series Inks; M100 Single Function Monochrome Printers and Inks; an LQ310 Dot Matrix Printer and SIDM Ribbons, LW400 Label Printers and LW Ribbons, Epson projectors and a document camera. Since the launch of the Epson Gift of Brightness, Epson has partnered with key media and government institutions to select the most-deserving and in-need schools that can benefit from the technologically advanced Epson equipment including high-volume printers, high brightness projectors and user-friendly scanners. Cebu City National Science High School, one of the pioneering science schools in Cebu, is located in Labangon, Cebu City. Calumboyan National High School, which was formerly known as Teodoro B. Dosado Memorial National High School is located in Sogod, Cebu. “The Epson Gift of Brightness program is our advocacy for education and the Filipino youth. After our first partnership with the Department of Education last year, we are now embarking on another batch of beneficiaries for the Epson-DepEd Gift of Brightness, and some other schools that have directly asked Epson for help. We are focusing on selecting schools from areas that have yet to receive a similar donation. The new batch of GoB schools will be very soon,” concludes Ms. Donna V. Ferro, Head of Marketing Communications and PR, Epson Philippines.